Luckily, there are many examples of people in show business who appreciate and recognize the virtues of hard work and ingenuity. A quick example is Atiqa Odho, who is amply endowed with numerous qualities, including the aforementioned hard work and ingenuity. Born to an enlightened family, she received the best possible education and upbringing in the U.S.A. Though initially she seemed an ordinary child, her zeal set her apart from her peers. Additionally, the vivacious and vital Atiqa had her own position from her earlier days. Atiqa was persuaded by Pakistani television in 1990 to work for a drama serial. Her immediate response was that she was neither interested in entertainment, nor did she fluently speak the Urdu language, which was a pre-requisite for the Urdu play. Long story short, the television crew took the responsibility to groom Atiqa for her role in the television play and Atiqa agreed to do it. Thus, Atiqa debuted from the Pakistani television drama serial, 'Sitara aur Mehrun Nisa', in 1991, for which she was eminently suitable. Moreover, Atiqa was heralded as a star of dazzling luminosity and rightly so. It sounds preposterous that she was labeled such so quickly, but it is true. Her acting appealed to the masses. One can easily remember and savor her great performances. Atiqa, who is revered for her versatile acting, offered a convincing performance in the television drama serial 'Dasht'. The cast included Atiqa Odho, Fazila Qazi, Noman Ejaz and Abid Ali. Her interest was to create entertainment, in the transaction; she attained fame beyond her wildest imagination. Atiqa achieved legendary stature as a television artist. She was highly successful in modeling as well. After nearly a decade, Atiqa grew too tired of travel between U.S. and Pakistan. Hence, she decided to make Pakistan her permanent abode. She has a fervent desire to provide a congenial atmosphere to her two children, and her husband, Javaid, in Pakistan. Reverting to her show business career, one good thing about Atiqa is that she can tunnel into different roles, which are offered to her from time to time. In the past thirteen years, 1991- 2004, Atiqa has made her presence felt forcefully in Pakistani television, film, theater, modeling and radio. Through her serene subtle and sometimes heartbreaking performance, she often steals the show. The Pakistani television play, 'Nijaat', is a case in point, in which Atiqa's acting is laudable. Atiqa, who has brown hair and green eyes, is renowned for her artistic qualities. She enchants the Pakistani community all over the world. Atiqa gave a superb performance in the film 'Mujhay chand chahiye', in 2001, directed by Shan. Stars included Atiqa Odho and Javed Sheikh. She made mediocre movies good and good movies great. Now she is poised to reap awards and gather encomiums from the public. As time passed by, Atiqa's emergence as a prominent artist created ripples on and off the screen. Atiqa, a promising artist then, and an accomplished artist now, worked even harder for her role in the film 'Jo dar gaya wo mar gaya', in 1995. We need wisdom to understand, to predict and seize opportunities. Atiqa is good in those venues. The play 'Talaash' is a great example of Atiqa's foresightedness, which was wisely directed by her. Brimming with romantic tunes and powerful script, 'Chahatain' apparently delivers the goods. This mega hit drama serial was pictured at twenty- eight different locations in Malaysia, including Kuala Lumpur, and Jandabai jungle. Writer, Seema Ghazal, director, Ahsan Ali Zaidi The cast included Atiqa Odho, Humayun Saeed and Uzma Geelani. Most importantly, 'Chahatain' was a group effort. No one artist could have done all that alone. It seems that the dialogues she speaks are more heartfelt than what the viewers could visualize on the screen. Put it this way, Atiqa offers a performance that goes beyond characterization. What could be a better example of her involvement with character other than the television comedy drama 'Tum he to ho', in which Atiqa was dubbed as Saira. Writer, Mohammad Ahmed, director, Marina Khan, producer, Humayun Saeed. Most of all, Atiqa learned early in her life that one need to exist in the moment and attempt to be emotionally and physically resonating with a given situation in the play. She brings out her emotion in the story 'Umrao Jan Ada'. Writer, Zehra Nigah, director, Rana Sheikh, produced by GEO television. The cast included Atiqa Odho, Amina Banu, Shakeel and Bushra Ansari. Likewise, Atiqa came out with a big plan to host a television talk show. With this intention, she booked celebrities like Amir Khan, who hopefully will grace the show with their presence. In fact, Atiqa stepped into her working life as a make- up artist and acquired training in England. Later, she moved to Pakistan and practiced her profession as a beautician. Thinking young is great feeling healthy is even better. In spite of her hectic schedule, Atiqa manages to keep herself young, active and healthy. 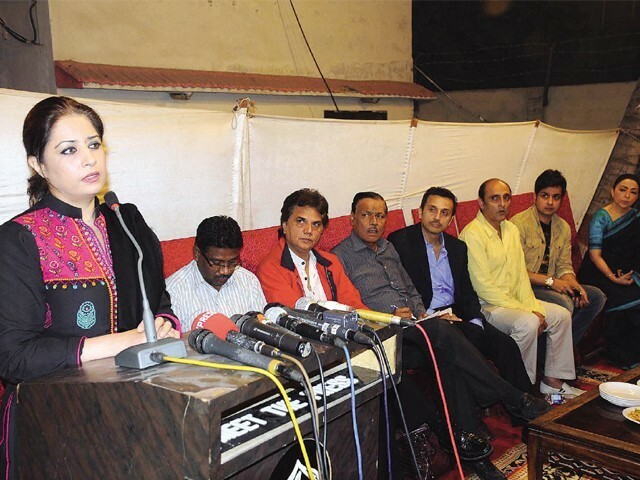 KARACHI: At a press conference by the United Producers Association (UPA) on Monday, actors voiced their opinions and ideas regarding the current situation of the industry. Celebrities including Atiqa Odho, Tanveer Jamal, Sajid Hasan, Faisal Rehman, Faisal Qureshi, Adnan Gilani, Arbaaz Khan and Bakhtiar Ahmed all spoke volumes on how to revive the film industry in order to compete with Indian entertainment content. The press conference continued with every artiste emphasising the need to rebuild a niche cultural identity for Pakistan. Bakhtiar Ahmed extended this viewpoint, adding that Indian cultural influence needs to be curtailed in order to move forward and promote local arts. Actor Faisal Qureshi took to the podium to share a personal experience, explaining how the Pakistani audience can make all the difference if they made a conscious choice and realized how their current preferences adversely impact the local film industry. He said, “I was in a foreign country when I met Salman Khan and he told me Wanted earned nearly Rs750 million in Pakistan alone, when we hardly have more than 200 cinema houses across the country.” The actor showed disappointment at Pakistani film buffs being so easily swayed by foreign films that rob local films of a market at home. Odho also spoke about the importance of abiding by Pakistan Electronic Media Regulatory Authority laws and applauded Tanveer Jamal and Sajid Hasan for their pioneering ventures. Faisal Rehman, Begum Azra Mohyuddin and Adnan Gilani reiterated the same stance taken by the artistes. Published in The Express Tribune, December 1st, 2010. Atiqa Odho is a Pakistani television and film actress and a host. 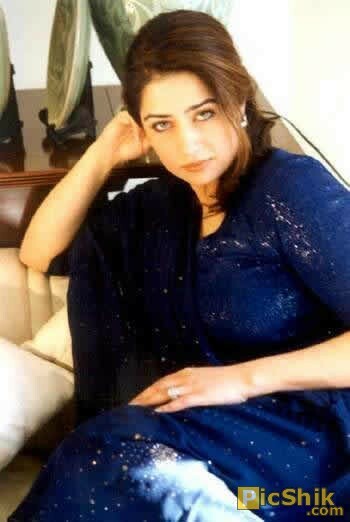 She debuted in Anwar Maqsood's TV series Sitara aur Mehrunissa and later starred in a string of successful films, including Jo Darr Gya Woh Marr Gya, Mummy and Mujhe Chand Chahiye. Odho was born in Karachi, Pakistan on February 12, 1968. She is married, and has three children. She started her professional life as a make-up artist and hairstylist in 1989. While working as a make-up artist for various advertising agencies in Karachi, she was discovered by television personality, Anwar Maqsood. She starred in his play, "Sitara Aur Mehrunissa" in 1993; the role turned her into a household name in Pakistan. In 1995, she made her film debut in Jo Darr Gya Woh Marr Gya. Odho has since worked in many popular television and film projects and has been actively involved in both media and the cosmetic industry in Pakistan. She resides in the UAE and Pakistan. Since 2009, she has also been engaged in philanthropic activities. 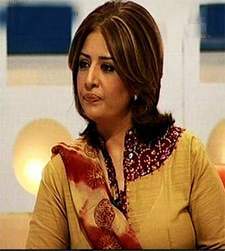 [vague] She has been working for Shaukat Khanum Memorial Hospital,Fatmeed Foundation and as a social worker in "Hamara Mulk, Hamaray Log".[when?] She is currently the CEO of Odho Cosmetics, and Odho Productions. She is also the ambassador for the campaign on awareness of breast cancer in Pakistan.